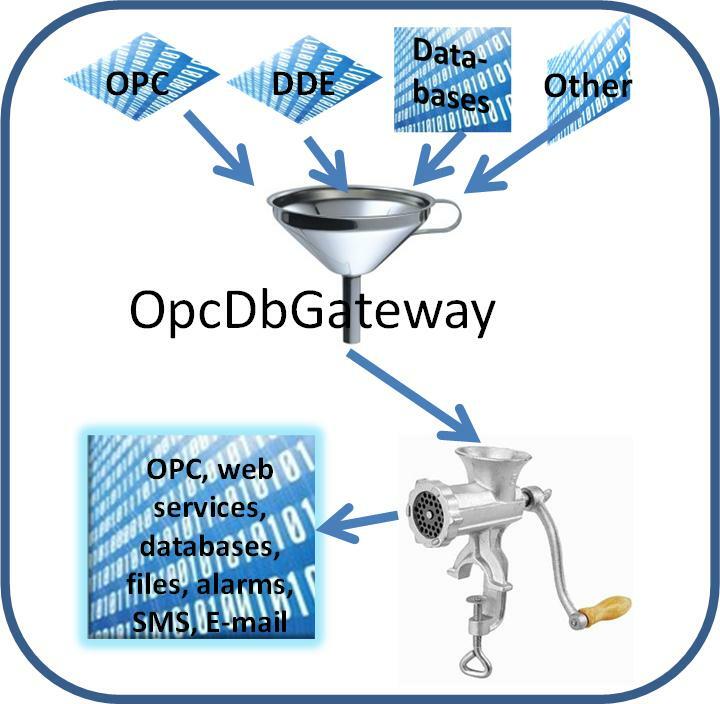 In the previous post, it was shown that OpcDbGateway can be perceived as a funnel where real time data from OPC and DDE servers, data intermediated trough other communication drivers and data from different databases flow. Mapping of OPC server address spaces as well as items from the DDE server configuration to the OpcDbGateway configuration means a substantial increase in applications integration productivity. Configuring sometimes thousands of data points for address spaces of external OPC servers can take weeks. If we had to configure the same data in OpcDbGateway it would be not only a waste of time but also a huge potential for false entries in configuration. This problem, since the first versions of OpcDbGateway configuration application, was solved using software wizards. If you need to integrate corporate database applications, it is equally important to be able to mapping functionality from database tables to the OpcDbGateway configuration. In version 5 of OpcDbGateway was implemented software wizard for this purpose. After defining a connection string to the database is possible in the OpcDbGateway configurator choose the table from the database that we use in the configuration. In the next step, you can select the table columns and assign them to the database operands that are used to access either of the individual cells in a table column or the entire column. 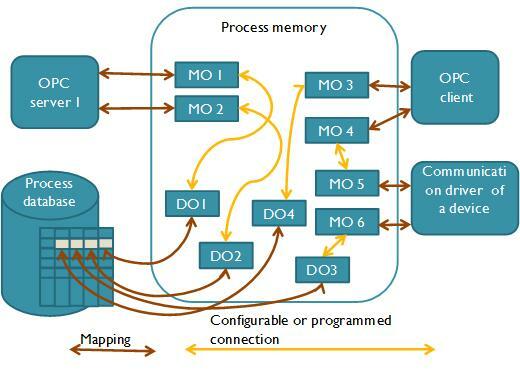 Using configurable or programmable functionality OpcDbGateway we can use database operands to interconnect data different data sources as shown in the figure below. Mapping also works in the opposite direction. If we define the table first in the configurator OpcDbGateway can be connected to create a database with a single click. With the tables in the configuration OpcDbGateway we can work easily either using configurable commands or by using SQL language. The content of the table we can also view at runtime in the configurator. The next post will explain how it is possible for the content of linked database tables accessed via the OPC interface. OpcDbGateway can be understood as a kind of data funnel into which data from different data sources flow and where they are processed and passed to external applications.